Partnership to Extend Access to High-Quality Pregnancy Care Across Health Populations. “The team at GW MFA is among the leaders in the nation when it comes to innovation in digital care models, and they have been a tremendous partner to work with,” says Anish Sebastian, co-founder and CEO of Babyscripts. 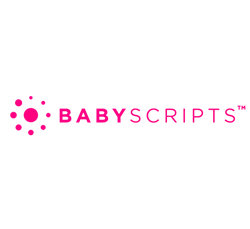 Babyscripts, Inc., the leading virtual care platform for obstetrics, has expanded their partnership with George Washington University Medical Faculty Associates (GW MFA), the largest independent physician practice in the D.C. Metro area and one of the first providers in the United States to radically reevaluate pregnancy care through technology. More than 4 years ago, Babyscripts partnered with GW MFA to create and deploy a technology-powered pregnancy journey that directly impacts the pregnancy journey and its associated outcomes, disrupting outdated and insufficient standards of care. Their model addresses three troubling realities in the status quo: absence of education, lack of access to necessary care, and failure to stratify risk. Through the use of the Babyscripts platform, GW MFA has made radical progress toward closing the gaps in prenatal care. They have supported patients and providers with increased digital touchpoints and interventions through the use of remote monitoring and digital engagement, making care available from the comfort of a patient’s home. They have made education materials as readily available and as easily deployable as the touch of a button on the nearest mobile device. They have promoted efficiencies that decrease the financial and physical burden on patients and providers alike, allowing providers to allocate time for the most vulnerable and at-risk patients. With this most recent expansion, Babyscripts and GW MFA continue their commitment to provide high-quality pregnancy care to every infant and mother in the nation’s capital. Their partnership will increase access to care across all health populations, regardless of socioeconomic status. The GW Medical Faculty Associates is the largest academic physician practice in the Washington, DC Metropolitan area. Its physicians provide comprehensive patient care, offering one practice for the whole person with 52 medical and surgical specialties in over 40 locations. Its physicians are members of The GW School of Medicine and Health Sciences faculty and closely affiliated with the GW Hospital. They are teachers and mentors for medical students, residents, and researchers preserving a rich tradition of academics, research, and healing. The MFA has an active referring relationships with 12 area hospitals. More at https://www.gwdocs.com.